Live worksheets > English > English as a Second Language (ESL) > Do or does > Do or does? 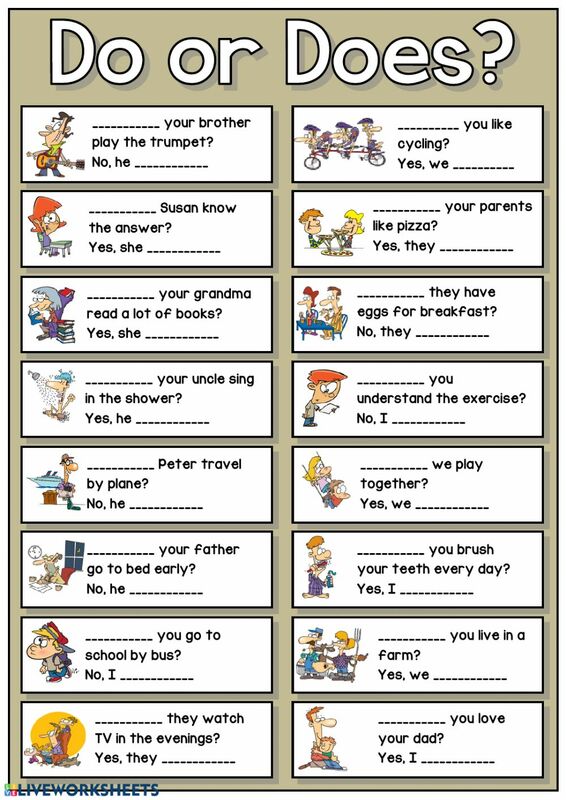 Complete the questions with "do" or "does". Then choose the right form to complete the answers. Copyright 3/19/2019 Víctor Gayol. Publication or redistribution of any part of this document is forbidden without authorization of the copyright owner. Great and just on time for my kiddos review :) Thanks a bunch! Thanks a lot for your material!